Our Rome, NY hotel can be found near Interstate 90 at exits 31, 32 and 33. The location is convenient for our guests as they can visit all the many attractions that the central part of New York has to offer. People call the Quality Inn Hotel in Rome NY as their “home away from home” no matter if they travel for pleasure or for business. Aside from the many attractions in the area, several convenient amenities are offered at our inn for added comfort and value. For instance, the Griffiss Business & Technology Park, Fort Stanwix National Monument and the visitor’s center are situated just a hop, skip, and a jump away. Just minutes from our property, one of the most rapid raceways in the country is located for your amusement. Vernon Downs, the Utica Rome Speedway, Turning Stone Casino and Utica Zoo are other fantastic attractions that are within 10 miles of your room! The breathtaking Adirondack Mountains are also nearby if you’re looking to scope out the inner-most beauty of New York State, as well as Woods Valley Ski Area and several groomed snowmobile trails for winter sports enthusiasts. The Shopping district is very close and only a short walk is necessary to reach it. The surrounding area is full of restaurants, cocktail lounges and entertainment to suit all ages! Our guests can also access breakfast, lunch and dinner 24/7 at the attached Denny's, and can receive a discounted food bill just by showing our room key. Guests staying at our Affordable Hotel in Rome NY can take advantage of free amenities such as high-speed wireless Internet, newspapers, and local calls- just to name a few. All rooms are equipped with refrigerators, microwaves, irons, coffee makers, hair dryers, and ironing boards. We even feature handicap accessible rooms, and non-smoking rooms for those who do not smoke. Individuals with pets are welcomed as well for a small fee. As if all that is not enough, we open our refreshing outdoor pool in the summer time and the exercise room can be accessed any time of year. The non-stop business center located right in our lobby can provide copy and fax services for a small fee. 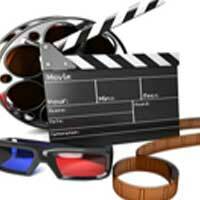 Organizing an event or meeting? Our on-site meeting room can support up to twenty five individuals! 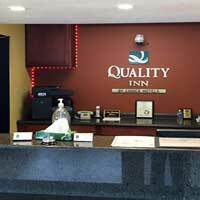 At our Quality Inn Hotel in Rome New York we are focused on convenience, comfort and value for all guests alike. Young or old, family or individual, we have accommodations and plenty for you to do at and surrounding our Quality Inn of Rome, NY! ‘Like’ us on Facebook and be the first to know about our special seasonal rates. You can also find exclusive deals for your next stay on groupon.com or dealspl.us which can be redeemed by calling our hotel direct at (315)336.4300. Let our friendly staff help you create the perfect vacation or business trip today! Welcome and Experience the comfort and convenient location of our Rome NY Hotel. This website is owned and maintained by Quality Inn, Rome, NY, a licensed user of certain proprietary trademarks and service marks of Choice Hotels International, Inc.